BOGO Book Fair is Back! 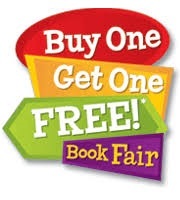 Join us for our Buy One, Get One Spring Book Fair! This fun event is not a fundraiser – it’s just an easy way to get an early start on stocking up for summer reading or to pick up a few titles to use in the June Book Swap. Do you have a rising 1st grader or rising 4th grader? Please plan to attend our moving up information night. You will hear directly from teachers about what to expect at the next level and how to prepare your child. The session for rising 4th grade parents is from 5-6 PM in the C modular and the session for rising 1st grade parents is from 6-7 PM in the B building. These sessions are for parents only. Panthers Play 60 Camp - Volunteers Needed! Plant the seeds of innovation with Camp Invention! This summer, campers will code maneuverable robots, explore frequencies between remote-controlled toys and test the limits of their imagination. 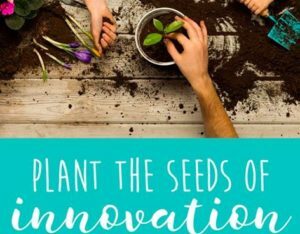 Camp Invention at PRM will be held June 24-27 and will be led by Media Specialist Melissa Toner! Join your friends at this popular camp by signing up at Invent.org/camp. Save $15 with code “PLAY15FB” today! What does a Montessori classroom look like? Will my child know what to do? For the last 10 years, this camp has helped facilitate a joy of learning by breaking the ice and gently introducing children to the Montessori philosophy and environment. Ms. Priti Aery has taught at Park Road for 16 years and will guide your child through classroom expectations and introduce them to multi-sensory and sequential Montessori materials.